Various proposals and designs for Lleyawiin, collected from the old forums. Some things to consider, but definitely not a priority right now. Although the Trans-Niben Agreement, formally recognizing Cyrodiil’s claim to the Trans-Niben region and abolishing that of Elsweyr, was only signed by Empress Morihatha and the Mane of the Khajiit in 3E 336, the Cyrod people had lived alongside the beastfolk for ages in the region that would soon become the Imperial County of Leyawiin. Its history is a long and bloody one, and like so many disputes with the cats, revolves around the issue of moon sugar. The indigenous manfolk of Nibenay, most notably the silver-skinned Kothringi tribesmen, have called the Blackwood home since before the time of the Imperium Saliache, but for much of the Empire’s history, its southmost border was drawn across the mouth of the Niben Bay. At that time, the west bank of the lower Niben River was owned by the kingdom of Anequina and the east bank controlled by the Hist, powerful enemies for a young Empire already feeling pressure from the elven states. But the rich banks of the Topal Bay proved too ripe a fruit to be ignored for long, and sure enough, in the early years of the Second Era, the Blackwood Company of Merchants, headquartered at this time in Bravil, launched their first expedition into the lower Niben. Uninterested at this time in the fertile lands of the Blackwood, their true prize was the mangrove thickets that grow along its rivers. While much is made of the importance of silk in Imperial culture (and rightly so), it is hardly the only treasure-good of the Niben Basin. While refined sugar is rightly outlawed within the borders of the Empire, the sugar-trade of Leyawiin is perfectly legal, and very lucrative as well. Imperial moon sugar begins its life in much the same way as the Khajiiti drug of the same name – as crystallized moonlight caught in the waters of the Topal Sea. As it washes into the Topal Bay, it is absorbed into the mangrove roots lining the water’s edge and drawn into the tree itself, where it combines with the mangrove’s natural sap. This blood-red sap, known as moonsblood, is similar in flavor and physiological effect to raw moon sugar, but lacks its addictive tendencies. More than just a commodity, raw moonsblood is used in the sacred rituals of the Maran fertility cults of Bravil such as the Circle of the Root and the Order of the Knotted Vine. Once per month, when moonsblood can be seen to bleed from the bark of the tree, it is ready for harvest by boring into the tree and draining the sap into wooden buckets. From there, it is taken to a nearby facility where it can be poured into massive metal drums and boiled down to a thick, sweet syrup, ready for bottling and sale. And so it was that Leyawiin was born, centuries prior to its formal recognition by the Imperial government – as a ragtag collection of sugar shacks and warehouses near the mouth of the Nibenay River. Legally, the Empire classified the Blackwood Company as smugglers and pirates, and the Count of Bravil spent many fine words denouncing the interprovincial syrup market, but his customs and excise officers were more than happy to turn a blind eye as long as their pockets remained full. For their part, the Blackwood Company would hire Bosmeri crewmen, fly Anequina colors, and mount figureheads in the shapes of snarling jungle cats on their ships in order to pass as Ohmes Khajiit engaging in legal trade. Of course, the beastfolk did not look kindly upon the syrup trade, seeing it, perhaps fairly, as a precursor to formal colonialism, and an insult to the ancient traditions of the Khajiit. Before long, the Leyawiin outpost found itself under assault by Khajiit and Argonians alike. The lessaiz-faire attitude of the Empire toward their operations now turned against them as their pleas to the Legion for succor fell on deaf ears. In the end, the Blackwood Company turned to the very beastfolk they had so offended, hiring Khajiit jihatt and a phalanx of Argonian shellbacks to protect their camp with promises of land in the Empire and an equal share of the Company's profits. This gambit paid off, and the assaults dwindled long enough for the Company to set up proper fortifications and establish themselves as a power in the region. Over time, the outpost grew as Imperial demand for moon syrup did the same, while at the same time smugglers and sellswords alike brought in their families and started new ones there. 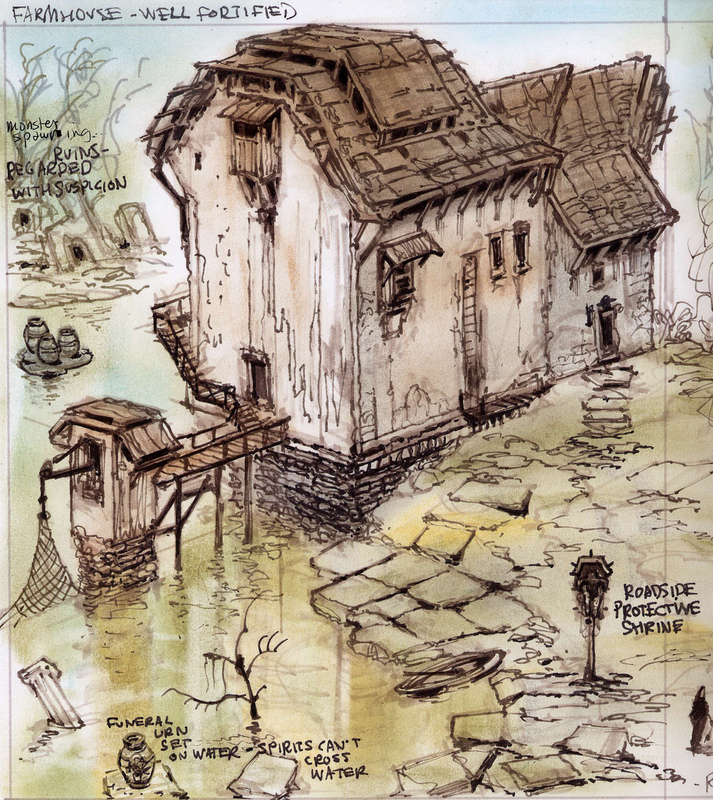 In time, the size and population of the settlement dictated that they be able to provide services for themselves like blacksmiths and farmers, since the Blackwood Company could no longer smuggle in provisions in great enough quantities to keep the outpost running. At long last, the settlers turned their hungry gaze east and west, to the fertile soil of the Blackwood jungle. In 2E 894, just a few short years before Tiber Septim would unify Tamriel under one banner, the self-proclaimed Lord Canis Caro declared sovereignty over the Blackwood region for the independent city-state of Leyawiin, and almost immediately afterward appealed to become a client state of Cyrodiil. The Emperor, of course, graciously accepted their terms, welcoming the Kingdom of Leyawiin into the Empire as a vassal state of Bravil and immediately sending a Legion into the Blackwood jungle to secure the new kingdom from its protesting neighbors. It is hardly difficult to understand his reasoning, as Leyawiin’s position straddling the mouth of the Niben River allowed him total control of the flow of water traffic up the Nibenay River, as well as easy access to Topal Bay for staging naval operations on the western coast of Tamriel. At the same time, the annexation also legitimized the moon syrup trade, bringing it under the jurisdiction of the Imperial Customs and Excise Office and classifying it officially as an export good of the Ruby Throne. By this point in Leyawiin’s history, the Blackwood Company of Merchants had lost its Imperial charter due to allegations of piracy, and had largely dissolved within the borders of Cyrodiil proper. The legalization of the syrup trade proved to be the final nail in the coffin of the old Company, and, unable to compete in the swiftly growing syrup market, the Nibenese officers folded into the growing noble class of the fledgling kingdom. 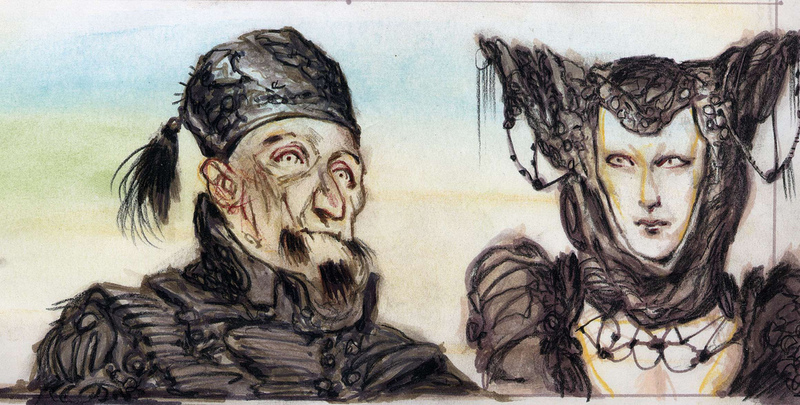 The governance of Blackwood Company operations in Leyawiin was left to its sizeable population of non-humans, under the direction of the Khajiit Do’fazir. My own attempt at describing some of Lleyawiin's landmarks, as well as some comments on its general nature. Unfinished. Infragris wrote: Those who have never seen the city of Leyawiin often imagine it as a town divided by the obstacle of the great Niben river. In fact, it is very much the reverse: here we speak of two quite separate cities, connected only by the slow, coiling river that forms the lifeblood of both. The eastern city consists of stately villas and buildings of great civic importance, like the temple and auction house of Zenithar and the famed amphitheater of Ter Amni. 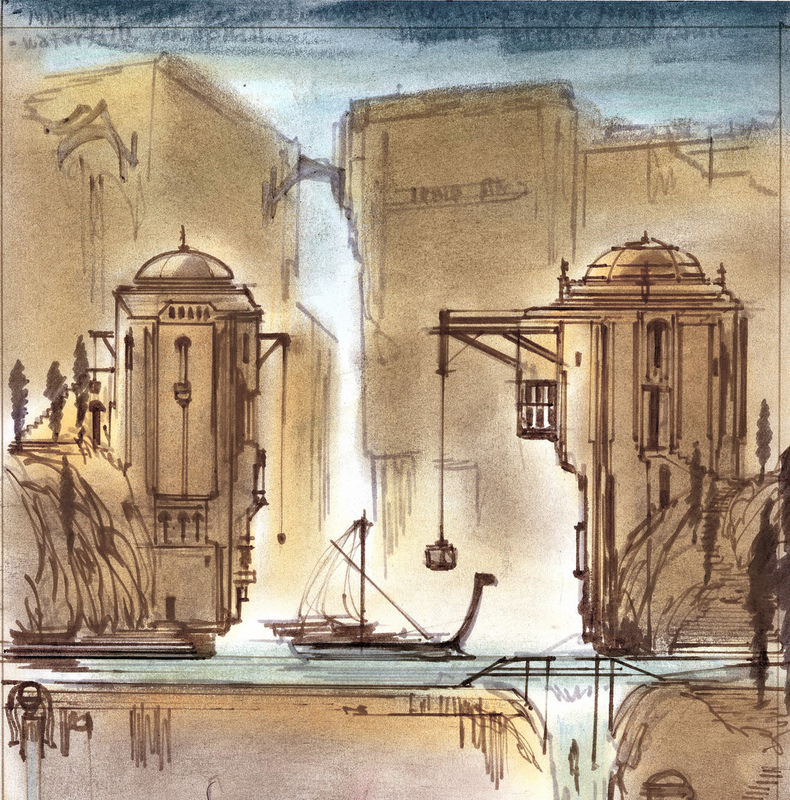 The western city, a maze of narrow alleys, walled gardens and houses with small, high windows, giving out onto the docks: essentially a Khajiiti city. Between the two towns lies the river, crossed by an informal network of ferries and boats, and in itself bisected by the stone bulk of Caro Island and the castle of the count. While neither I nor my colleagues have been able to gain access to the Hidden Market of Leyawiin, and have in fact not been able to ascertain its very existence, we can state that, whether it is a real location or not, the Hidden market a central fixture of the Khajiiti mindset and the current Trans-Niben political landscape. 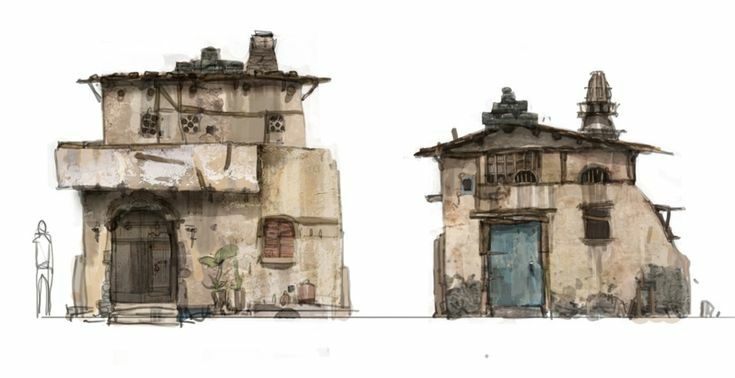 The Hidden Market is understood to be a district or neighborhood of the city, inside the Khajiiti ghetto, yet somehow far surpassing the latter in size and opulence. Entrance to the Market is strictly forbidden for non-Khajiit. 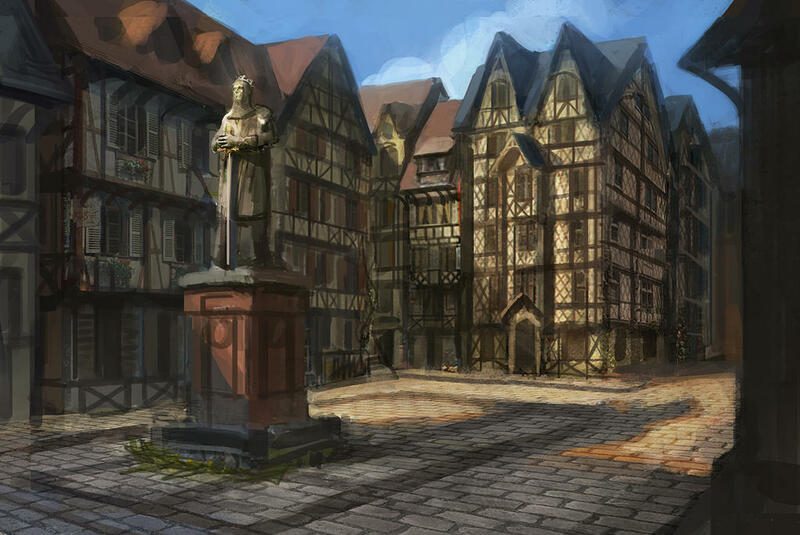 However, since Khajiit do not pay much attention to restrictions in the best of times, there appears to be no shortage of persons in Leyawiin' dens and tabernas who claim to have seen the Market from the inside. From what we have gathered, Market access can be obtained by consuming the opiate known as moonsugar, mixed with a specific herb that can be found along the riverbanks. Once this substance enters one's system, the sensory faculties are capable of perceiving cleverly hidden doorways and alleys in previously empty courtyards and cul-de-sacs, which in turn lead to a densely populated bazaar. Infragris wrote: The way I see it, the trans-Niben used to be ruled by all sorts of petty factions: Niben river-lords along the river, Khajiit estates on the west bank, Argonian nomads and isolated Nedic settlements (leftovers of the Kothringi and Orma peoples) in Blackwood. 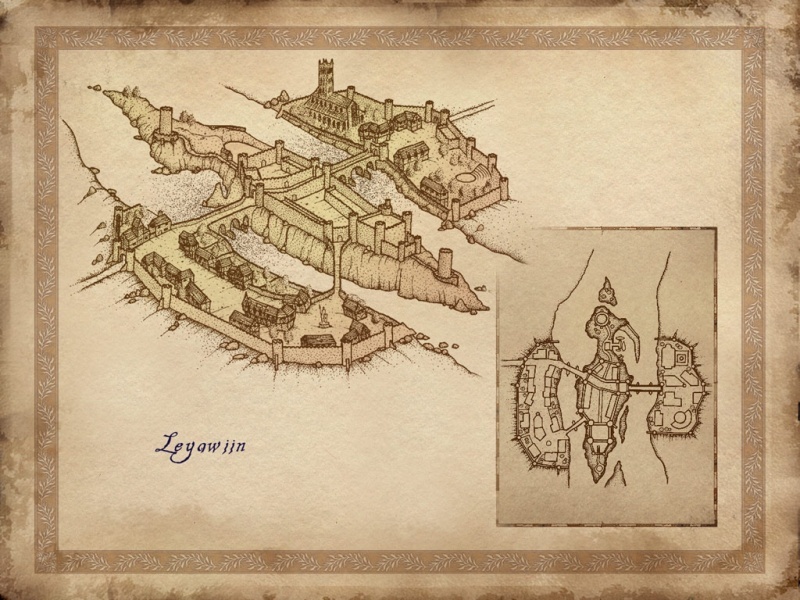 Leyawinn was two cities, with a Nibenese trade city on the east bank, and a Khajiit city on the west. The new agreement abolished most of these and focused all power in the hands of the Imperial count of Leyawiin. The Khajiit side of the conflict is fueled by the interests of ex-landowners and drug smugglers. The acquisition of Blackwood is purely symbolic, since it's mostly still wilderness, useless for farming, undeveloped save for a few roads, and inhabited by isolated freaks. The only Argonian authorities that the Imperials recognize are those that they installed themselves, so Black Marsh never even had a claim the place - the Imperials only negotiated with the Mane. Moonsblood is a good idea as one of the Niben's many religious narcotics, but I would move it further away from Moon Sugar in origins and effect, make it more it's own thing. It would be kind of strange for the Moon Sugar trade to be so popular if you have a perfectly legal and non-addictive alternative right there. For their part, the Blackwood Company would hire Bosmeri crewmen, fly Anequina colors, and mount figureheads in the shapes of snarling jungle cats on their ships in order to pass as Ohmes Khajiit engaging in legal trade. Shouldn't this be Betmeri or Khajiit, not Bosmeri? as well as easy access to Topal Bay for staging naval operations on the western coast of Tamriel. Shouldn't this be eastern coast? All of this is incredibly good, btw. I agree with infragris Moonsblood is a great idea but should be moved away from moon-sugar. Even if the moon-sugar itself is widespread in Tamriel, its production is very specific and limited to certain parts of southern Elsweyr. For example, even Khajiit from Anequina can't grow it and have to exchange it with fighters and services. Moon-sugarcanes are not your average plants. They are deeply linked with the Khajiit Tower and I'm not sure moonlight is something different than moonlight for every other race or place. And skooma is addictive, not moon-sugar. Maybe you could look for some sort of bio-engineered substance made by Hists when the region was under argonian dominion and the trees are bleeding their red/brown sap on full moons, so you can keep its name? This way, you can also give it any properties you want. I'm not an expert in argonian lore but I think it's something they could do. And it would give more interest to the argonian historic part of the city. I think he means imperials don't trust Khajiit so they use Bosmers to pose as Ohmes. And any captain would be suspicious with Khajiit on a boat as it is well known they don't like water. Le Grimacier wrote: I think he means imperials don't trust Khajiit so they use Bosmers to pose as Ohmes. And any captain would be suspicious with Khajiit on a boat as it is well known they don't like water. I don't believe for a second that Khajiit could mistake a Bosmer for an Ohmes. Its difficult for outsiders to tell the difference because they're ignorant outsiders. Fiore1300 wrote: I don't believe for a second that Khajiit could mistake a Bosmer for an Ohmes. Its difficult for outsiders to tell the difference because they're ignorant outsiders. I don't really stand by this piece any more for the reasons Infragris already mentioned, but as far as the part with the smugglers, the point I was intending to convey was that they were putting on a show for the Imperial administration- not even that the census officers were necessarily convinced by it, but that the smugglers went through the motions of disguising their crewmen and ships to give plausible deniability to those who were turning a blind eye to their activities. 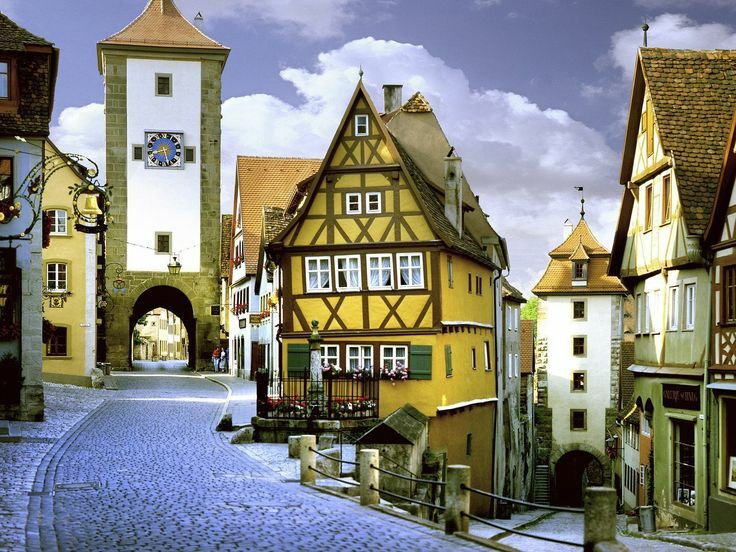 I just popped up with quick concept of city's architecture recreating huge-spacious houses from TES IV and resembling medieval-bavaria style of Germany. Need a nice merge with Khajiiti influences here. 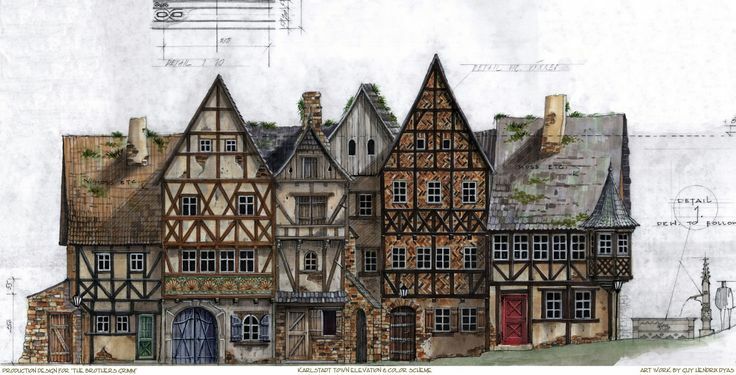 I'm not a huge fan of the fachwerk style they used in TESIV for Leyawiin or Cheydinhal. Felt too medievalist and derivative, especially this far south/east. One thing I do want to take away from TESIV's Leyawiin is the multi-colored houses, which felt very much in character.